I've been doing the Whole 30 this month. Have you ever tried it? It's been good to "re-set" my body and take a break from junk, and it has also motivated me to try new recipes. This was one I made and loved, so I wanted to share it with you! 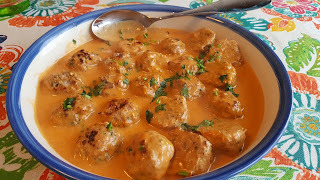 I love red curry, and these meatballs are bathed in a delicious red curry coconut sauce. I made regular rice for my family members who are not "whole 30" complaint (ha!) and these would be really good over cauliflower rice as well. These chicken meatballs are chock full of carrots, onion and herbs and spices. They reminded me a little of falafel, which I am also a huge fan of! It doesn't matter if you're doing the Whole 30 or not, these have such great flavor that you and your whole family will love them. 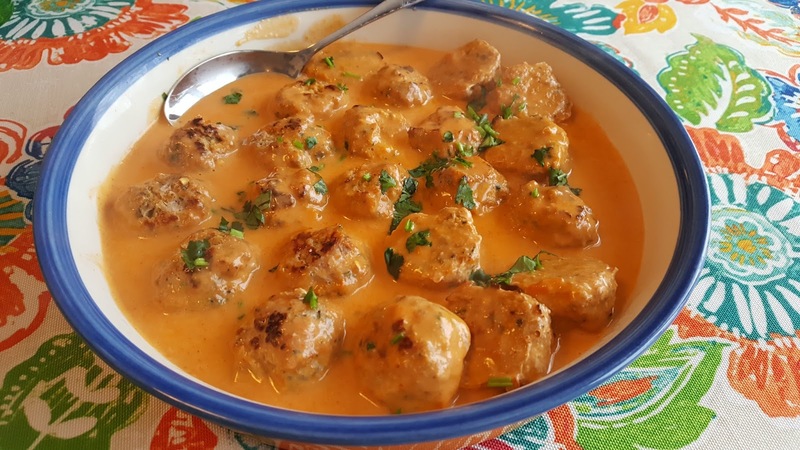 Add some variety to your dinner time, and make these meatballs as soon as you can! Find more great ideas at Inspiration Monday, Busy Monday, Inspire Me, Inspire Me 2, Fabulous, Wow Me, Wow Us, Whisk It, Let's Party, Hearth and Soul, Full Plate, Weekend Potluck, Sugar and Spice, Awesome Friday. Place all the meatball ingredients except chicken in a food processor and pulse until chopped. Transfer to a bowl, add the chicken and mix well. 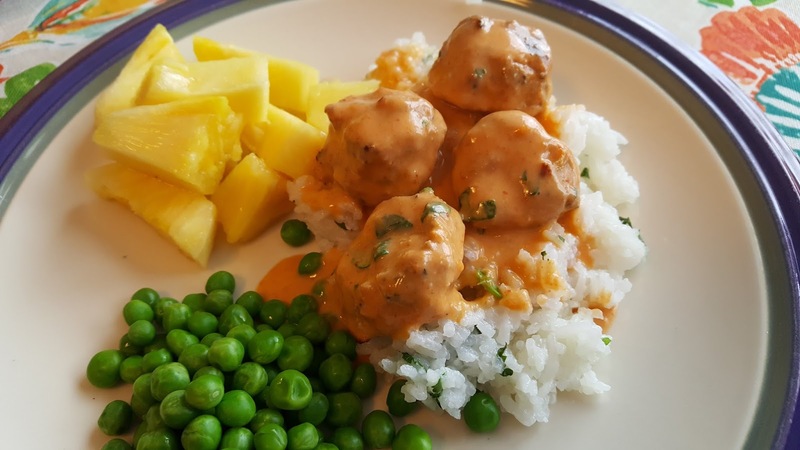 Roll into 1 1/2 – 2″ balls and place them on a lined or greased pan. Bake at 400 for 20 minutes, then gently turn the meatballs over and bake them for an additional 15. Meanwhile, prepare the sauce. In a large skillet, over medium heat, heat the coconut milk. Add the rest of the ingredients and simmer for 10 minutes, stirring occasionally. When the meatballs are cooked, add them to the sauce, stir to coat and simmer for 2-3 minutes. Serve over rice or cauliflower rice. Makes 6 servings. Your Coconut Curry Chicken Meatballs look delicious! Hope you are having a great week and thanks so much for sharing your awesome post with Full Plate Thursday!